Negative test clients are by far the most difficult clients for me to meet with. We often hear this phrase at the Abstinence Clearinghouse. 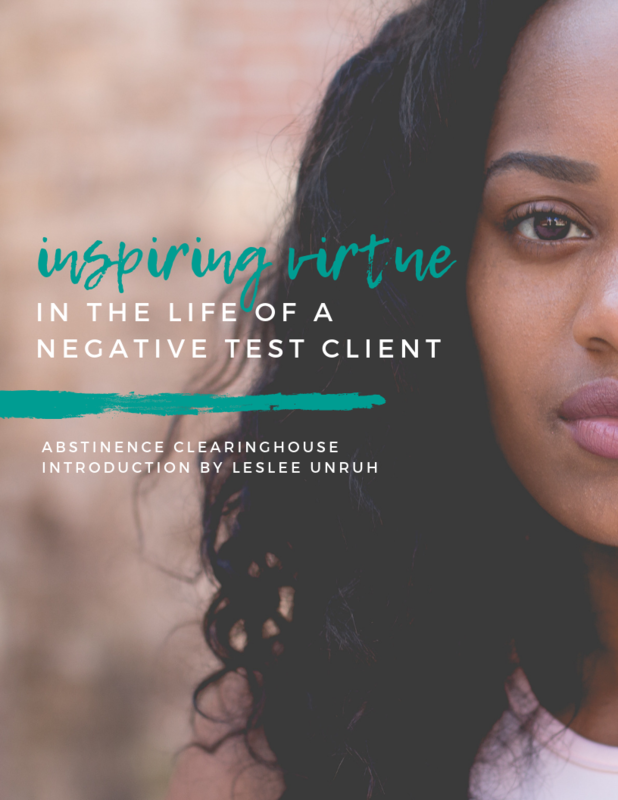 While we agree that the client who receives a negative pregnancy test is difficult to consult, we know that the negative test client holds the greatest potential for transformation. When a woman comes in for a pregnancy test she is often scared, confused and hopeless. When news is given to a client that a pregnancy test is negative, a feeling of relief may be seen in a client’s eyes. But, the feeling of relief may only be temporary when months later she walks through the doors of your center seeking another pregnancy test. We want to give you the tools to avoid the “what could I have done differently?” feeling we have all experienced. A negative test gives you an opportunity to plant seeds and change the direction of a woman’s life. We hope you find this e-booklet helpful in meeting with and pouring into the lives of clients receiving news of a negative pregnancy test. Thank you for inspiring men and women of virtue.